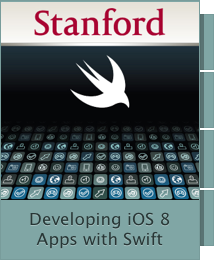 Found this the other day, free online course from Stanford University teaching iOS 8 and Swift app development for iPhone and iPad. Give it a go! It is available in iTunes U, thus you need iTunes installed on your computer. You can view it on your iPad or iPhone as well.